Asbestos containing materials have been used through much of history. While many people associate asbestos with the industrial revolution in the United States and Europe, the naturally occurring substance that consists six silica minerals has been mined and used for thousands of years, due to its ability to naturally resist heat, fire, electricity, and caustic chemicals. It was during the industrial revolution that widespread use began in the construction and transportation industries and continued through the 1980s, when it was finally outlawed in much of the world. It should be noted that countries such as China are still using asbestos, because it is cost-effective, despite the many known risks. Asbestos use was so prevalent that many buildings constructed or renovated prior to the 1980s are likely to contain asbestos in roofing materials, flooring, drywall and joint compound, insulation in walls and around pipes, and many other installations. As our Boston mesothelioma lawyers understand, many asbestos producing companies and construction companies knew that their products contained deadly fibers that, if inhaled, could cause mesothelioma, lung cancer, and other serious respiratory illnesses. It is known that these companies often did not tell workers of these known dangers or provide protective equipment, because they knew that it would take between 20 and 50 years for workers to develop symptoms, and they were willing to risk worker safety for short-term profit. This is the basis for many failure to adequately warn of known danger claims that are being filed in mesothelioma lawsuits. 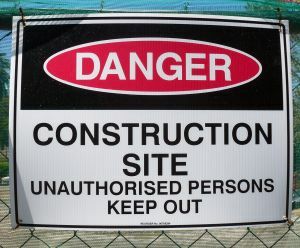 According to a recent news article from Staten Island Live, the city’s department of buildings has issued a partial stop work order on a controversial demolition project due to asbestos concerns. The order was issued after residents complained to city officials about air-quality and voiced concerns about asbestos exposure. The concerns are due the fact that it appears that demolition work has been ongoing during the asbestos abatement process. The city issued the partial stop work order to halt demolition work except for the asbestos abatement process. Once the asbestos abatement process is complete, and the work has been inspected by city officials, the order will be lifted and demolition can resume. The land contained what used be a Jesuit retreat that current owners purchased for $15 million and plan to build 250 residential townhouses. The city has already fined the developers more than $67,000 for violations related to asbestos handling issues. After the city conducted initial inspections, inspectors found friable asbestos used as pipe insulation in one of the buildings. Friable means that the material can be crushed or crumbled by the power of a human hand. This is very dangerous because, when this occurs, dust that contains asbestos fibers that present a serious risk to workers and other members of the community is released into the environment. Anyone who is working around friable asbestos must be properly trained and certified and wearing full body protective clothing and using a certified respirator or ventilator to avoid inhalation.